Plans is planning made simple. Because what we plan, we do. Click here for a 30 second video introduction, or just download for free on the App Store and check it out. 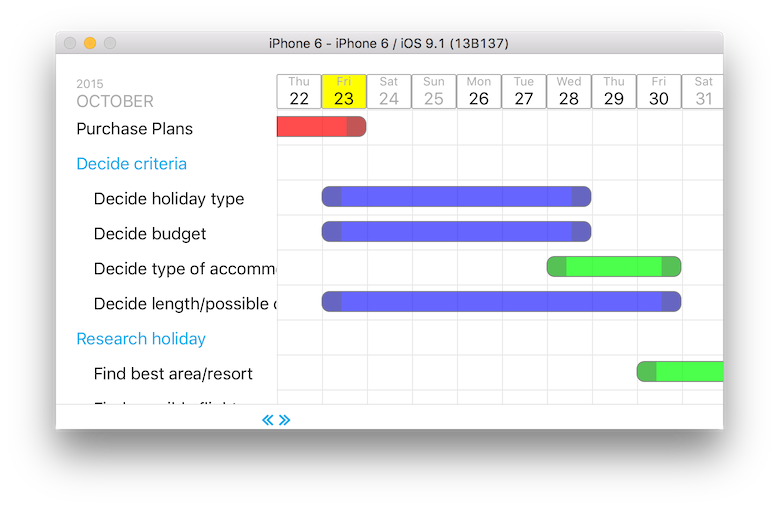 Plans is an iPhone planning app aimed at small personal projects – think new years resolutions only all year round . If you need to organize a vacation, party, hobby, home improvement project or any goal – then this is for you. 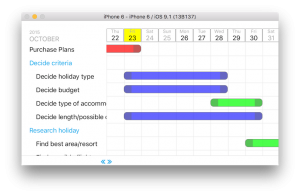 Plans has three areas, planner, calendars (which look across plans and show what you need to do by date), budgets (estimates, actuals and comparison by date). It was created because we would all benefit from a tool to help us think things things through more at an early stage. Plans is for ordinary people who want to do something that requires planning but who aren’t professional project managers and don’t want to be. Planning is important, a good, realistic, well thought through plan can make all the difference between simply trying, and meeting your goals. Sometimes we all try to do things without planning them first. Plans makes planning easier, and when we carry it out we are more likely to succeed. That’s what it does, and thats why it makes a difference. An planning app such as Plans does not become easy to use without significant design and architecture analysis, in fact the decisions as to what to leave out of the product were as important as what to put in. Lots of work has therefore gone into architecture and the user interface. Press here for more detail on what Plans does, and why.